Our Autonomous Robot Platform: Making work easier for industry. Our Autonomous Robot Platform connects AIS’ physical robotic systems with cyber systems, and through artificial intelligence, can communicate in real time. Through patented technology, we assess industry challenges first and then solve them through custom, autonomous robotic solutions. Our autonomous robot platform has the intelligence to perform repetitive or dangerous tasks with the dexterity and precision of a human. With our IP and patent portfolio, AIS is positioned well to meet current market demands for autonomous robotic technology. From our established presence in the horticulture and agriculture markets, we are expanding into warehousing, mining and film. Traditional industries need to innovate and are looking at automation. 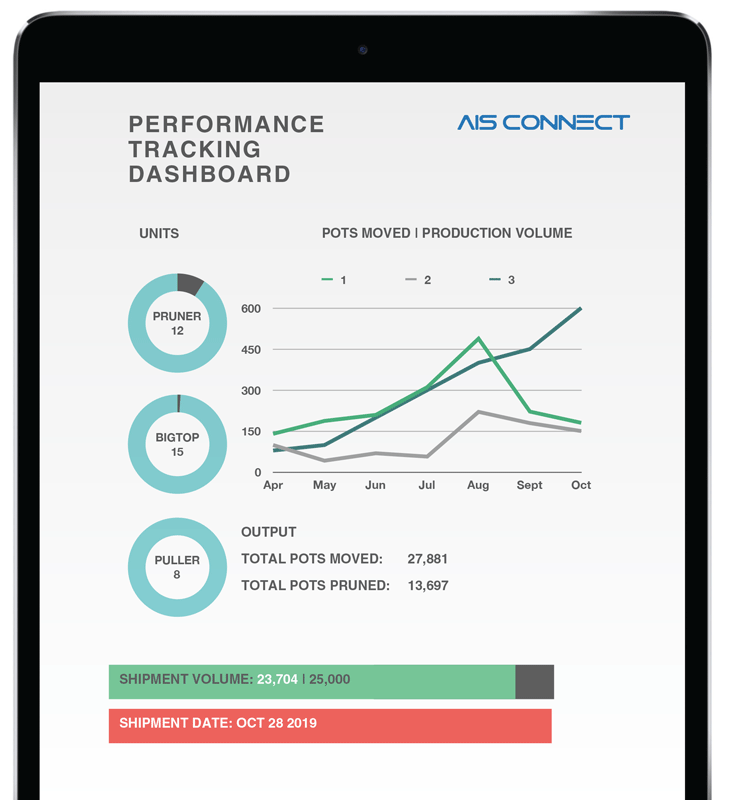 The AIS solution allows companies affordably to employ a standardized robot. AIS autonomous robot parts are interchangeable, replaceable and upgradeable. This allows the robot to be custom built to solve unique industry challenges. The AIS Robot Platform is the foundation of our business model: Robots as a Service (RaaS). With cloud computing, artificial intelligence, and robotics, RaaS allows businesses to venture into robotics without a major upfront capital investment. Robots are paid based on the work done, which greatly lowers the barriers to entry. This allows businesses to affordably experience the myriad of business benefits of the AIS Robotic Automation Platform. We collaborate with universities, governmental organizations, technology, and industry partners to design and create autonomous robot platform solutions. The IoRT marries physical components with the cyber components of the Internet of Things. Robots with sensor enabled, monitoring and communications capabilities, between each other, are able to synthesize data from numerous sources. These autonomous mobile robots use machine learning to make decisions and take action. 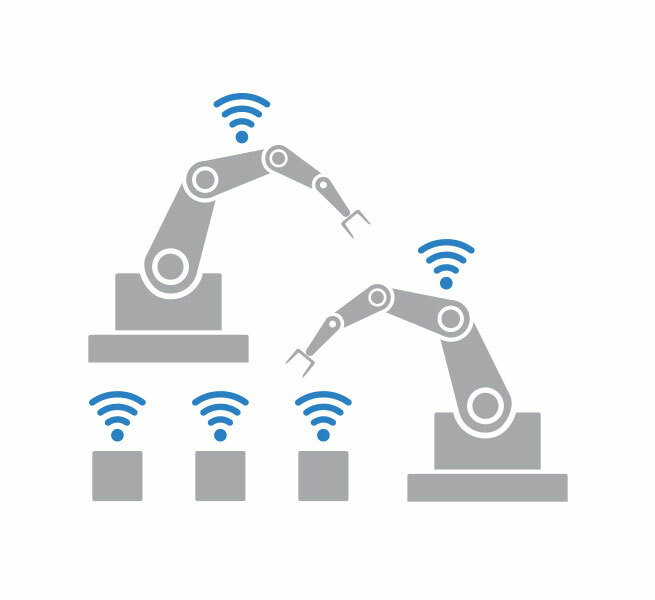 Industry 4.0 is often called the fourth industrial revolution. It benefits businesses with vastly improved efficiency, reduced costs, increased profits and in unidentified ways we cannot yet predict.